Mini sessions including TEN Christmas portrait images! Get into the Christmas spirit! Bring the little ones along to my Stafford studio to capture some amazing wintery images – perfect to use as Christmas presents or Christmas cards. Fun relaxed mini sessions, the kids can just be themselves in the warm safe studio environment. The back drop is a beautiful white winter wonderland theme with stars snowflakes and lights as well as some ‘snow’ to throw into the air and have fun with. We can capture some beautiful sibling group portraits as well as individuals of each child. Mini-sessions are a great opportunity if you just want a few images, if you want to update, or if you are having your children photographed for the first time. The winter mini sessions are much shorter than my standard sessions and I shoot several minis on one day. As a result they have a lower investment to reflect this. 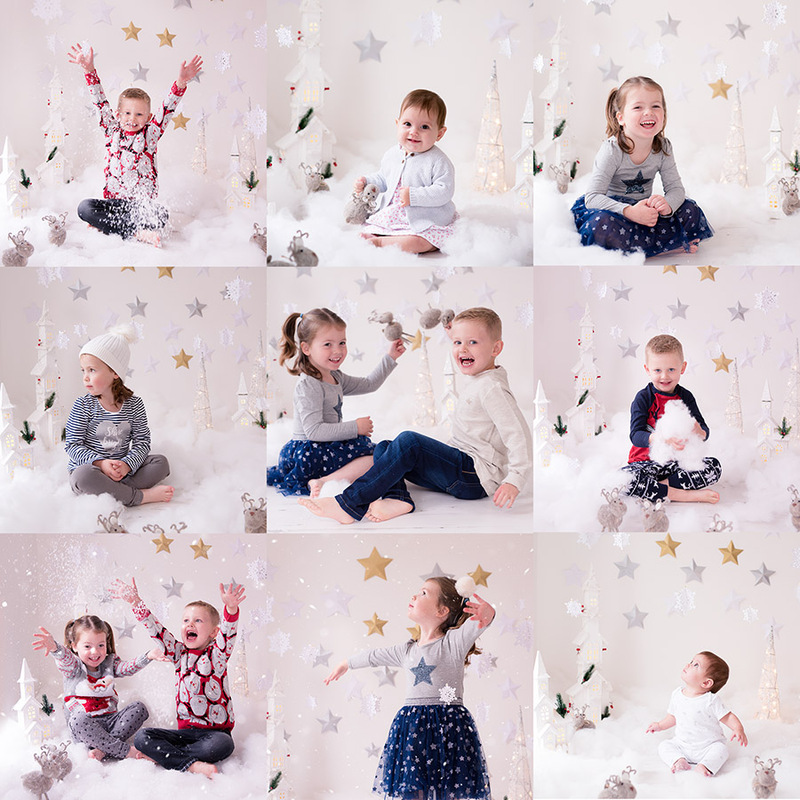 These Chirtsmas photography appointments are limited to just 10 appointments split over two dates – 10th and 18th November 2018. Book now to avoid missing out. This offer is for immediate family (sibling) groups of up to 3 children.